Dr. Don Tupper, Podiatrist, received his undergraduate degree from The Ohio State University. He completed his Doctorate of Podiatric Medicine at Ohio College of Podiatric Medicine, and then his Podiatric Medicine and Surgery Residency through the Foot Clinic of Youngstown. Dr. Tupper began his private practice career in Coshocton County over 35 years ago. He is affiliated with Coshocton Regional Medical Center. Dr. Tupper is board certified by the American Board of Podiatric Medicine. He is a member of the American Podiatric Medical Association and its Ohio and local affiliates. Dr. Tupper is also a member of the Christian Medical Association. 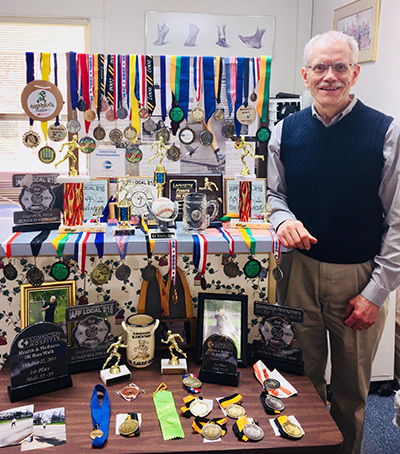 Dr. Tupper has been an avid distance runner since junior high school leading to a special interest in sports medicine. Dr. Tupper has enjoyed speaking for local groups on diabetic foot care, general podiatry and runners’ concerns.